These days, the business trends have changed and changing more. If one wants to survive in today’s business world, one must go with the flow and follow the changing trends. Business world is evolving every day and you have to evolve along with it if you want to be a part, rather important part of this world. Every business is going online today because it is the need of the hour. Everyone spend most of his/her time online today, be it for work, entertainment, shopping, or anything else. Companies therefore have developed their websites online through which they sell their products/services. Customers are also responding well to it as they can purchase anything from comfort of their homes. But, only having a website is not enough. Your website services should have a good visibility on search engines . When customers search for anything, your website should be visible to them easily. There are numerous shops, retail outlets, shopping centers, malls, etc. in the city and customers choose the one which is easily available and accessible. Similar is for the website, customers put the keywords in the search engine and click on the website which appears first. Therefore, it is extremely important that your website appears on the top list of the search engines. But how is it possible? Here comes in the picture our hero – the content. 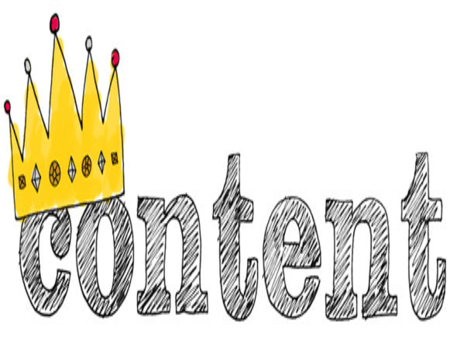 Yes, Content is the King. So, it is tremendously important to have a superior quality and unique content written on your website. Search engines give high ranking to the websites whose content is of superior quality and exclusive. You can even opt for content service providers for the content. Thus, it is particularly important that content of your website is unique and elite if you want to rank higher on search engines. Also, only ranking higher on search engines is not important, your website should also be user-friendly. Suppose, your website ranks high on the search engine, but when a user clicks on your website, h/she doesn’t find it much interesting, attractive and easy to access. What is the use of that SEO ranking then? In vain! Hence, content must be SEO friendly as well as user friendly, then your website has a real value in the online world. If you have such a unique content, success of your business is guaranteed. You can write SEO and user-friendly content for your website or if you don’t want to get burdened by this extra responsibility, you can outsource the content writing work to a good digital marketing company like Dreamworth Solutions. They will maintain your website and write unique SEO-friendly and user-friendly content for you. These observations could be justified with the help of SEO firms. SEOs consider image title tags as one of the factor in identifying the higher hits on your websites. Creating the perfect title tags directs your traffic towards you. When you have your rating at the top you can even think of improvising and tweaking the image title tags as per the needs and keep it changing to have consistently greater traffic. Analyze your title tags as per the need and bring changes in them for optimized results. Continuously optimizing the title tags gives an additional pull in attracting large amount of public to your company. Tagging your images properly indeed is a valuable asset in SEO practices. 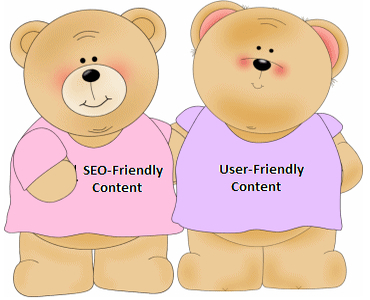 How to write SEO and user-friendly content? It is very important to always focus on your audience and so audience-oriented content should be developed for your website. The information given on the website should be helpful, interesting and engaging to the users, since they would stay on your web page and visit it again. Never copy or duplicate content from other sites as it gives wrong impression to the users as well as search engines. When a user wants to search something, h/she would put a keyword in the search engine. So appropriate keyword usage is very important as it optimizes your search engine potential and also help readers find what they are searching i.e. relevant content. If you will put a lot of keywords in the content, search engine may rank your site higher, but readers may find it boring due to repetitive content. Also, search engine may find keyword stuffing in the content and it may throw up a red flag. Moreover, it is important to balance the keyword usage in such a way that users will find the content useful and search engines will rank you higher. When you want to develop SEO-friendly and user-friendly content, length of the content matters a lot. The blog or article or any information that you are giving to your users is effective if it is in proper length. Users may get bored and may find it disinteresting to read a lengthy blog or article post. Similarly, very short or brief blog or article also is ineffective because you cannot investigate into the details of the topic and it may look empty. So, make sure the length of the content should be between 1000 to 1500 words. The content should always be updated with fresh ideas, information and much more. Users like fresh information and so is the search engine vital. When the content is updated regularly, users revisit your website frequently and search engines also remain happy. If readers find out that you always post fresh content on your site, they will get habitual to visit your site again and again and then whenever they need to search any info, they will directly visit your site than searching it on Google. Keep your users updated about the information, new trends, changes in your business. So, being updated with new and fresh information is extremely important since outdated information is neither preferred by users nor search engines. Generally, writers think that they will add the best part of the content at the end, but this is a big mistake. Well begun is half done, so give a catchy and attractive headline to your blog or article. If the headline is appealing, readers will get curious to read the entire content. Then keep the flow of the post in such a way that they cannot stop reading and find it more and more interesting as they go deep in the post. Therefore, always remember to draw your users to your content by giving a captivating headline and if it contains the keyword, it is icing on the cake. You are having a unique and interesting content on your site, but if it takes too long to load the page, it is of no use. Generally, readers expect that when they search for something, it should appear immediately in a click. If it takes too long to load or for them to access, they will not stay on the page. It is observed that if your content takes more than 2 seconds to load, you must take some action. Once clicked on the site, readers want it to open in a blink. It is good to write an exclusive and informative content, but it is great to put some additional links to it having extra information on the same topic. You can add links of other blog posting or some other source, readers always feel happy to know more details. This was about users but even search engines become happy to see the links in your content to other relevant sources. When you provide links to other sources, your readers feel that you genuinely want to give them detail information and other links feel that you value them. Also, search engines comprehend that you are connected with others and sharing helpful information. Adding a short list of what is included in the content makes it easy to read for the users as well as search engines. List is nothing but the condensed form of information which you give in numbering or bullet form. Your readers or users get to know about the ingredients of your content and feels the curiosity and interest to read the whole content. A short list catches user’s attention easily than a long blog or article. Similarly search engines like it if lists are added into the content. Real people create the content, then the real name and face behind the content should be given. Search engines as well as readers love to see the real names of the writers. When readers get to know who the real writer is, they can connect to the content easily because it adds trust. This can never happen if the readers cannot imagine the real person behind the content. Thus, by following the above-mentioned guidelines, it is possible and easy to satisfy SEO through SEO Expert as well as users. Developing SEO-friendly and user-friendly content gives assurance of success in your business. 2 + 542 = ?